You won't believe your eyes when you step foot on this beautiful property. Complete with a tree house and 5 ft. round door, the cabin and treehouse is sure to please all of those in your group and provide a truly unique experience on your next vacation! Perfect bungalow home in town and close to Deadwood. 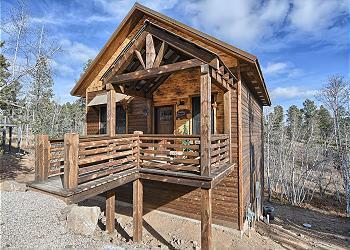 Perfect place for a getaway home for up to 8, with all the amenities you can enjoy at home. Unique new property on Gilded Mountain with watchtower on the 4th level, 5 bedrooms for your guests to spread out, some of the best views of the area, and access to the heated pool and clubhouse amenities! 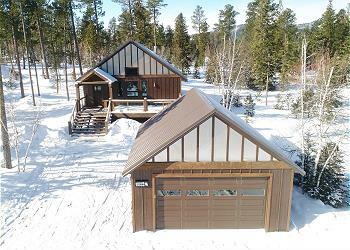 Wonderful custom built cabin near ATV/Snowmobile trails, Terry Peak and Deer Mountain/Mystic Miner, 10 minutes from Deadwood and near the highly sought after Gilded Mountain clubhouse with a heated pool! 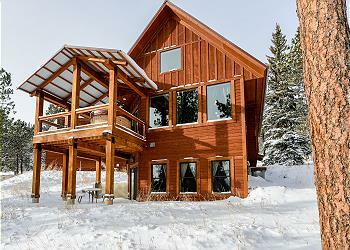 Welcome to your next favorite vacation home at Gold Creek Lodge! With 4 king suites, a hot tub, 3,700 sq. ft. of quality rustic finishes and a large deck to view the local wildlife, you'll enjoy the incredible experience at this high end cabin. 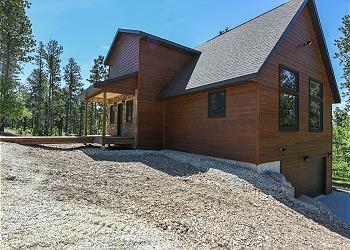 Brand New Property in New Powder House Pass Development - 5 Bedroom Near Deer Mountain. 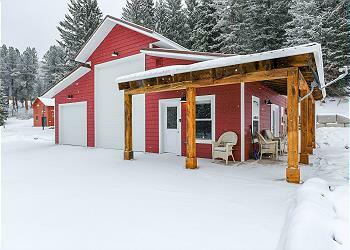 Access to ATV and Snowmobile trails out the back of the property and a wonderful hot tub to enjoy! New pool table added recently! 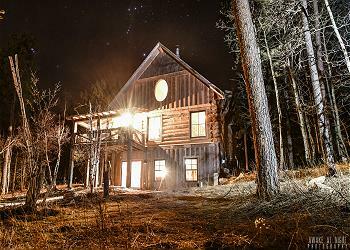 Private, Secluded Location on 14 Acres - Easy Access to Surrounding Sites. 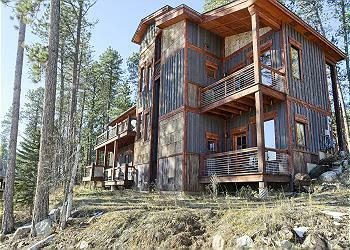 1.8 miles from Historic Deadwood with all Paved Roads! 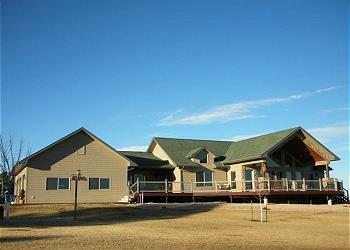 Antelope Acres is a remarkable 3 level home with 4 decks and incredible views! The home is filled with natural light and incredible views over the surrounding landscape and located on all paved roads! A hot tub is at the and includes clubhouse access! Step into your rustic modern home away from home. 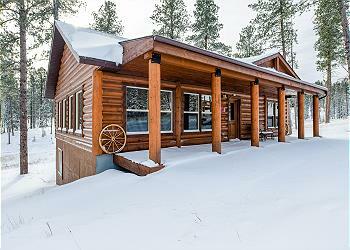 Nestled within the ponderosa pines in Powder House pass, Bourbon Ridge is the perfect cabin for your group to enjoy the local trails, Deadwood, and all the Black Hills sites you've been waiting to see! It's time for your next vacation, and Alpine Escape is sure to make it a perfect one! With 4 bedrooms and 2 master suites, a hot tub, a total of 4 decks, and access to the clubhouse with a heated pool, exercise room, and sauna - you'll be living the dream! 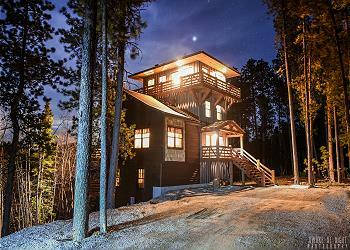 Need that relaxing getaway during your Sturgis Motorcycle Rally vacation? 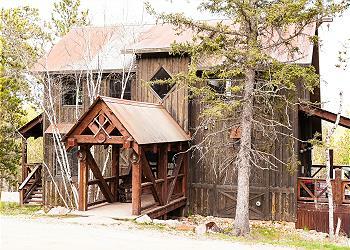 You've found it here at Blue Bell Loop Lodge. With more than 3000 5 bedrooms, a 3 car garage, and elaborate finishes - you'll love this for your next home-away-from-home. Beautiful larger property with ability to sleep up to 16! 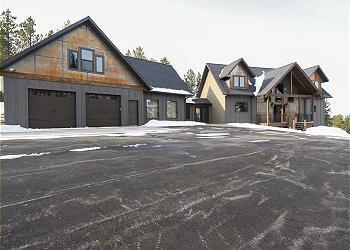 Access to heated pool, hot tubs, rec room at the nearby clubhouse and close to ATV/Snowmobile trails! 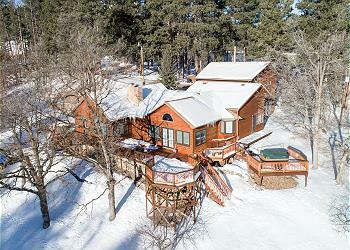 Set within the beautiful Black Hills Forest, Hideaway Haven is the perfect place to kick your feet up and enjoy some R&R. 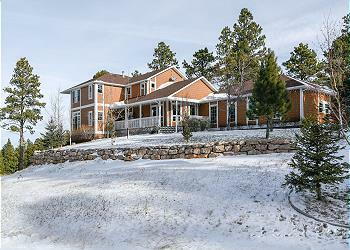 Close to Deadwood/Lead, ATV/Snowmobile trails, and ski resorts! Modern Cabin with Hot Tub & Access To Swimming Pool, Paved Roads all the way to the property, close to ATV/snowmobile trails and beautifully decorated for your group! Beautiful new log cabin with all the amenities from home, close to the Gilded Mountain clubhouse with a heated pool year around, a short drive to Terry Peak and Ski Mystic Deer Mountain, and ATV/Snowmobile trails that can be accessed nearby! This wonderful gem located just East of Cheyenne Crossing at the end of Spearfish Canyon is the perfect getaway for a small group. With a pond on site, local fishing hole close by, and paved roads - it's the wondrous location you've been looking for! 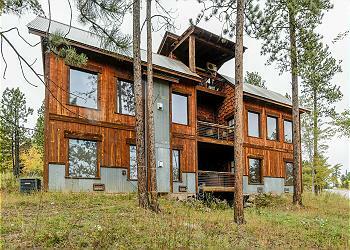 Located just outside of Spearfish Only 25 miles to Sturgis, plus the 3-Car Garage for those Bikes! - Sturgis Rally Rental.